Home » Category archives "Search Engine Optimization"
These days, it’s not enough to have a beautiful, user-friendly website. It’s also important to consider the site’s existence on, and interaction with, search engines. Search engine optimization is one of the best ways to initiate and funnel traffic to your website, and a well-performing website utilizes the right combination of on-page, on-site and off-site optimization strategies. On-page optimization ensures the optimal mix and frequency of well-researched keyword phrases. This typically consists of measuring relevancy across items such as: page title tags, meta descriptions, header (h1, h2) tags, image alt tags, link title attributes and paragraph text on a single web page. On-page optimization also focuses on including keyword phrases in the right locations of a web page. 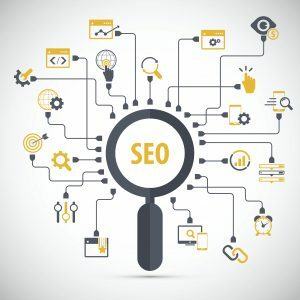 Search engines will prioritize the importance of a keyword phrase that’s physically higher up on the page and tagged correctly, and give that particular phrase more weight when categorizing and ranking your website in organic search results. On-site optimization focuses on the importance of relevancy across many pages of a website, or the entire site. An example of this would be a website for an accountant where all topics, including practice areas, blog pages, articles etc., focus on accounting-related issues, like taxation, filing, bookkeeping, or anything relevant to the business. 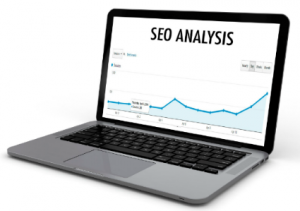 Typical on-site optimization strategies include a rich link structure that connects keywords or phrases to other related pages that may more clearly define the specified keyword phrase. Ensuring that the anchor text used in a hyperlink is rich with keywords that clearly define what the subject of the destination page is about gives a search engine a better idea as to what the overall site’s theme and category are. A good example of this would be avoiding a phrase like “click here” as a means to link to another page. Other on-site strategies would include having a current XML sitemap to help search engines crawl and identify the location of all of your website pages without missing any, using schema markup to better translate information about your organization to search engines (location, hours, type of business), identifying and removing duplicate content to avoid penalties, and using DRY (don’t repeat yourself), lean, compressed (minified) code so that your site loads quickly, giving visitors an optimal experience. Off-site optimization techniques primarily focus on aspects that can increase the visibility of a website in organic search results by way of factors that are external to the website itself. This would include social media strategies set to drive traffic and inbound links, obtaining backlinks by use of credible online directories, and ensuring that URLs, address listings, and phone numbers are precise and accurate across all locations on the web. Also, writing compelling, original, quality content — like press releases or blogs that authoritative sites like news sites and thought-leading blogs may want to link to — can help increase your organic search rankings. A healthy combination of on-page, on-site and off-site optimization is the best approach to increasing visibility for your website. The Public Relations and Marketing Group is both knowledgeable and experienced in creating successful optimization and marketing strategies for websites. Call now for a consultation: 631-207-1057 or email us at: info@theprmg.com. In today’s digital world, search engines such as Google, Bing and Yahoo! have become powerful tools that play a large role in the success or failure of many companies. Ranking high in search engine results can help a business gain market share and strengthen their brand. When a business appears on the first page of search results for key terms, whether the consumer is actively searching for the business or not, it can directly result in leads and sales. The consumer will start to identify with the brand and build perceptions of the company just by seeing them at the top of the page. Having low results in search engine queries can hurt your business as much as good results can help. No matter the circumstances, all businesses should be on the first page for a certain term, such as their company or CEO’s name. 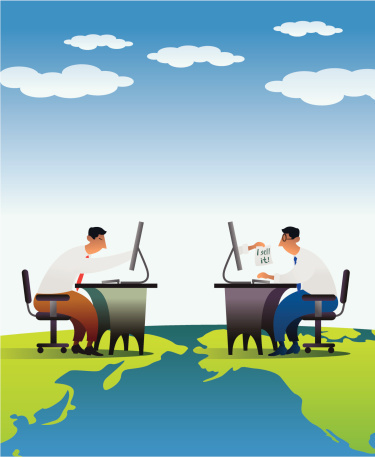 Businesses tend to think about Google+ as just another social network, similar to Facebook or Twitter. While this is basically true, Google+’s influence extends beyond social networking, and ignoring its presence can cause your business to fall behind. 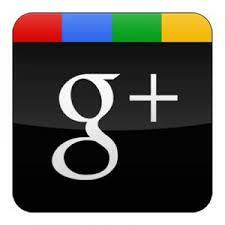 So what exactly makes Google+ so valuable to businesses? Google+ users receive a bump in Google search engine ranking simply by keeping an active Google+ account, providing fresh content and engaging with other users. A number of studies, such as the one done by Search Metrics*, show a powerful correlation between search rankings and the number of Google +1’s (equivalent to Facebook’s “Like” button). Simply put, +1s will create a followed link back to your post, causing organic link building, which is an important part of any SEO strategy. In addition, +1s indicate to Google that your website has been vouched for by a third party, giving you another boost in the search ranking process. With over 343 million users, Google+ is rapidly changing the landscape of social media, web searching and search engine optimization (SEO). 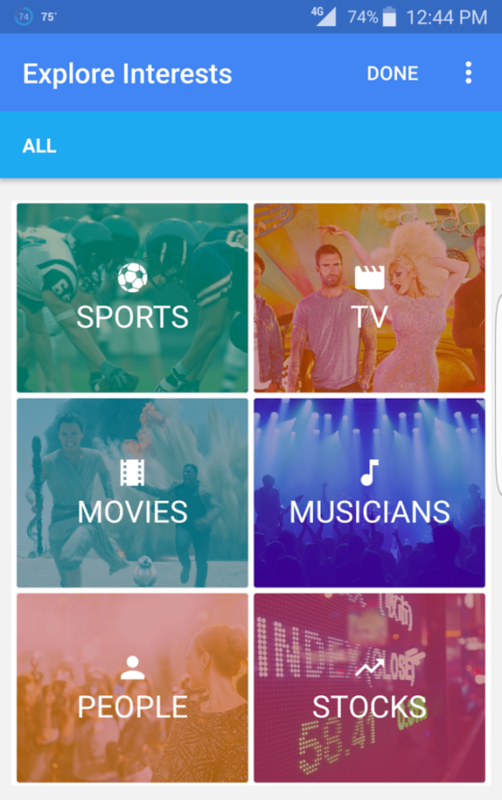 As Google continues to dominate the search engine market, Google+ profiles personalize search results through authorship and social searching techniques. By understanding how Google+ affects web searching through tools such as rel= “author” and Search plus Your World, you can use Google+ to become a leader in your industry and maximize your website’s potential. Web searchers use Google to find credible online sources. As a result, Google has emphasized authorship and given higher rankings to web authors with frequently updated, original content. With the rel=“author” tag, you can claim authorship of your content and build your own credibility by linking your Google+ profile to your website or blog posts in Google search results. If your website is properly tagged with rel=“author,” your name and Google+ profile picture will appear next to your website listing when it appears in Google’s search results. Through this, you put a name and a face to your website or blog posts, while also catching the attention of Google searchers. By clicking on your name or your picture, the user will be directed to your Google+ profile and have the option to “follow” you. Most importantly, rel=“author” establishes your credibility and if searchers have visited your website before or liked a post you have written, they are more likely to visit your site or blog again when they see your profile picture and name pop up next to the search entry. Depending on whether you are writing for your own blog, as part of a guest blog, or under a larger group, the ways in which to implement this authorship tag will differ. Search plus Your World is a form of social searching that gives personalized results, based on the circles and contacts in your Google+ profile. Social searching incentivizes both businesses and individuals to remain active on Google+ and make as many connections as possible to maximize the possibility of placement in search results. For example, if you own an ice cream shop and are connected to Joe on Google+, then it is highly likely that your shop will appear in Joe’s Google search results for “ice cream shop.” Likewise, if your best friend, with whom you are connected on Google+, just posted pictures from her vacation to London on her profile, you may find her pictures popping up on Google if you do an image search for Big Ben or Buckingham Palace. Social searching levels the playing field of search engine optimization and places more emphasis on personal relationships than domain authority or other SEO techniques, so it is necessary to engage with followers on Google+ and continually develop new relationships to stay relevant. As of now, the Search plus Your World feature is strictly limited to Google+, and contacts from other social networks like Twitter and Facebook will not appear in the search results. We predict that Google’s attempt to integrate social media with web searching will have an enormous impact on SEO and basic web searching. As Google continues to alter search algorithms to include social and personal features, it will focus on relationships through social media and increase the chances of appearing in search results without using other SEO strategies. Google may also tap into other social networks like Twitter and Facebook to develop even more personalized results. Overall, we recommend that you use Google+ to develop your online brand and credibility through authorship tags and forge new relationships through social searching to increase traffic to your website and blog posts. If you have any questions or are interested in developing your social media and search engine optimization strategy, contact 1-855-PRMG-123 or info@theprmg.com.